If you love to discover new music, explore or simply play (with) music, these are the websites that will most successfully and easily help you accomplish just that: The best music websites available online! 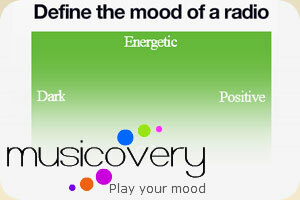 Start by defining your mood on the mood pad, and move on to optionally select the decade(s) and music genres for your exploration. Listen by similar artist, or discover music more freely. Save your favorite songs and favorite artists. 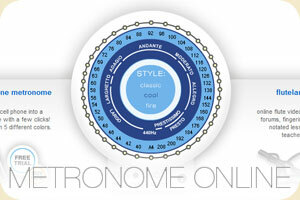 A wonderful tool for any music lover! The free account has limited interaction capabilities and lower sound quality. 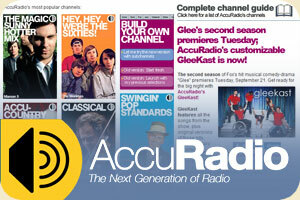 A free internet radio station without annoying announcements but with interactivity. Browse by genre, or artist or peruse the albums. Save your favorite songs or create a playlist. Nice! A nice internet radio station with many different channels with the possibility to build your own, based on the existing ones. Feels more like the usual radio station, due to occasional sponsored advertisements or accouncements, which cannot be skipped. 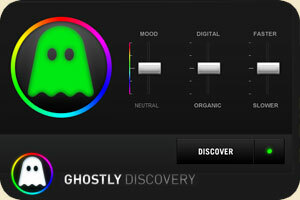 Another mood-based music discovery tool, however the featured music is selected from their Ghostly International and Spectral Sound catalogs, so somewhat different than 'the usual'. Moof is a streaming music website which uses YouTube as the source of music. 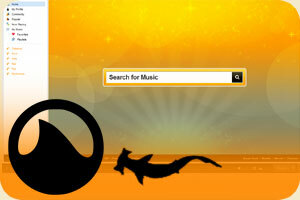 You can save music, build playlists or upload your music library in xml format. Moof can also be used as a backup solution for your iTunes library. It's not the greatest streaming solution, but it is different and therefore interesting. 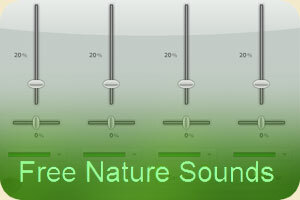 Create your own mix of natural sounds effects. Choose from a selection of animal sounds or natural phenomena, affect the volume or the occurrence of the individual effects. The finished sound mix can either be saved as a link and shared with friends, or you also have the option to save the finished sound to your hard-drive. Super-sweet! Pulsate is an audio tool for all those who, literally, like to play with music. It's an online musical toy to have fun with, or with which to experiment. Click on the pad to create a circle. The cirles create sound when they touch another, and the pitch of the sounds depends on the size of the circle. It's quite magical. Myna is Aviary's free online audio editor. 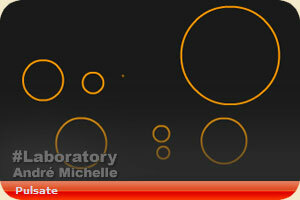 Mix audio tracks and samples, apply sounds effects, or record your own voice or instruments. All in one handy online application! 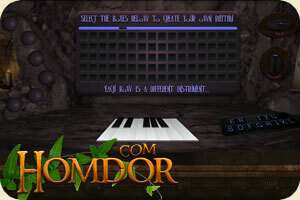 Homdor is an interactive Flash world, which actually offers several interesting spots for music lovers. The Magic Cave alone has two. There are the musical stones on the floor of the cave entrance, or if you enter deeper you come across the Music Cave, with a small keyboard, a programmable looping drumset for rhythm, and backgrounds pads. Simple and simply useful. Anyone who seriously practices music knows of the importance of a metronome. This is an online version, freely available to any student of music. Drums and basses to play with, using your computer keyboard. 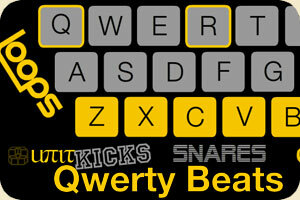 The keys are split into loops and one-shots: kicks, snares, cymbals and a few oddities.